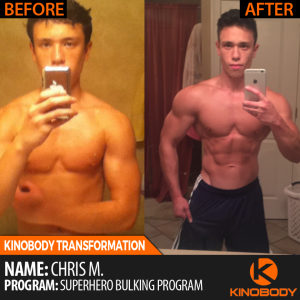 Kinobody to me is about achieving extreme physical excellence in aesthetics, strength and fitness. Now when I say aesthetics I am not referring to the puffy, round and curvy physique of bodybuilders. This has encouraged me to classify the three different types of kinobody physiques. These include the Warrior, Greek God and Superhero build. With each physique there is an emphasis on aesthetic proportions, leanness and functional strength. The warrior build is the original kinobody physique that I encouraged at the start of this blog back in 2011. I was turned off by the meat head movement to get bigger at all costs and opted for a lean and toned physique instead. The warrior physique requires a workout routine geared around low volume strength training to build firm and dense muscle development. As well, it is essential that you reach and maintain a low body fat through proper diet and nutrition. The great benefit of the warrior physique is that your face will be seriously defined and chiseled. Blue steel baby! Your body will also photograph incredibly well. You may appear slim in clothes but when you take your shirt off jaws will drop. This is the precise look that my course focuses on. Not sure if the Warrior Physique is right for you? 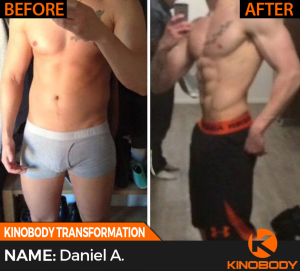 Take the Kinobody Physique Survey to find the best training program for your personal goals. This type of physique comes with some serious strength and power! In fact, I didn’t have this physique until I was capable of incline benching 240 lbs for 5 reps and chinning 100+ lbs for 5 reps. 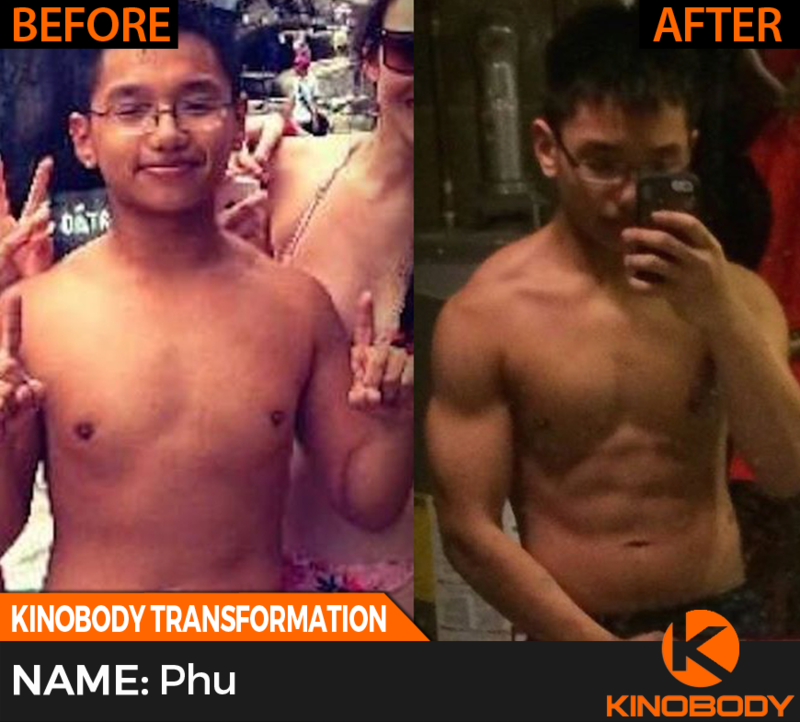 The results from the Greek God Program speak for themselves! Find out if you are ready to take your strength and muscle development to the next level by taking the Kinobody Physique Survey for your plan to reach Greek God status! The Superhero Physique is very similar to the Greek God Physique but with an extra 6-10 lbs of ‘pretty muscle’. This additional growth makes a very big visual difference and is attained by adding high volume pump training into your lifting regime. An emphasis on high quality carbs is important to stock up muscle glycogen stores. My new Superhero Bulking Program focuses on attaining this physique and includes four phases – chest and back, shoulders, arms and a bonus phase. And the results have been blowing me away! This type of training should be reserved for those who have surpassed the intermediate stages of strength and training experience. 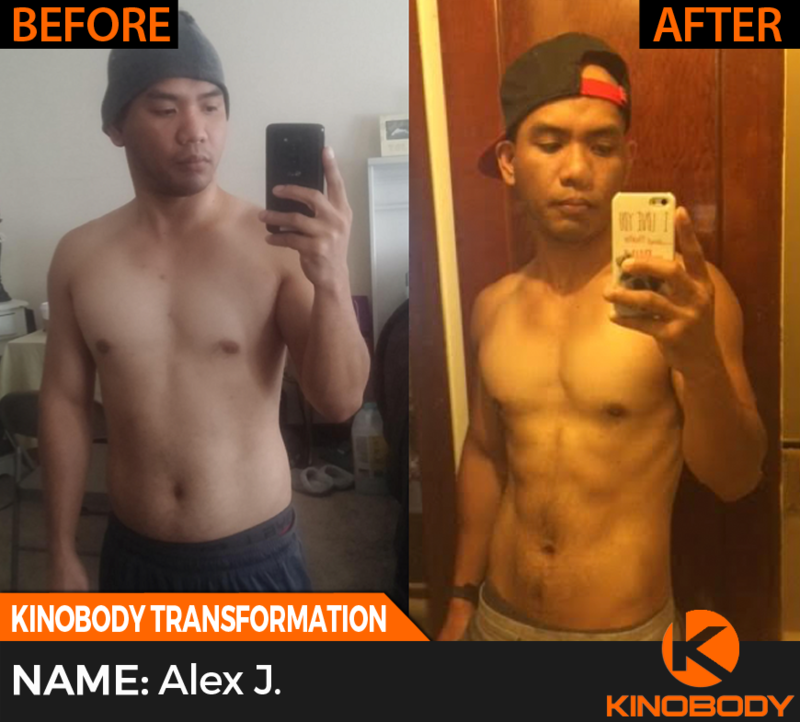 I recommend taking the Kinobody Physique Survey to ensure you get the most out of this course or find another program more suitable. The superhero look is truly an astonishing one. Adding in the high volume lifting and high carbs will buff up your body fast and give you the shrink wrap effect making your muscles look absolutely incredible. 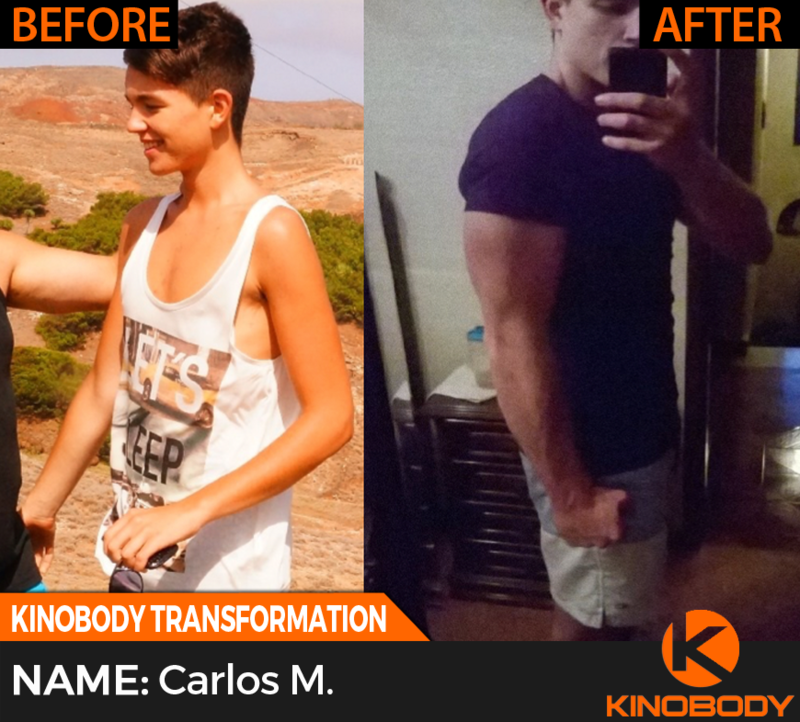 Attaining anyone of the Kinobody Physiques doesn’t happen by accident. It requires proper diet and nutrient intake tailored towards your goal. It also requires a consistent increase in strength on movements that best enhance your muscle development. My preference is towards incline bench, standing presses, dips, chin ups, barbell curls, skull crushers, lateral raises, rear delt flyes, bulgarian split squats, calf raises….. 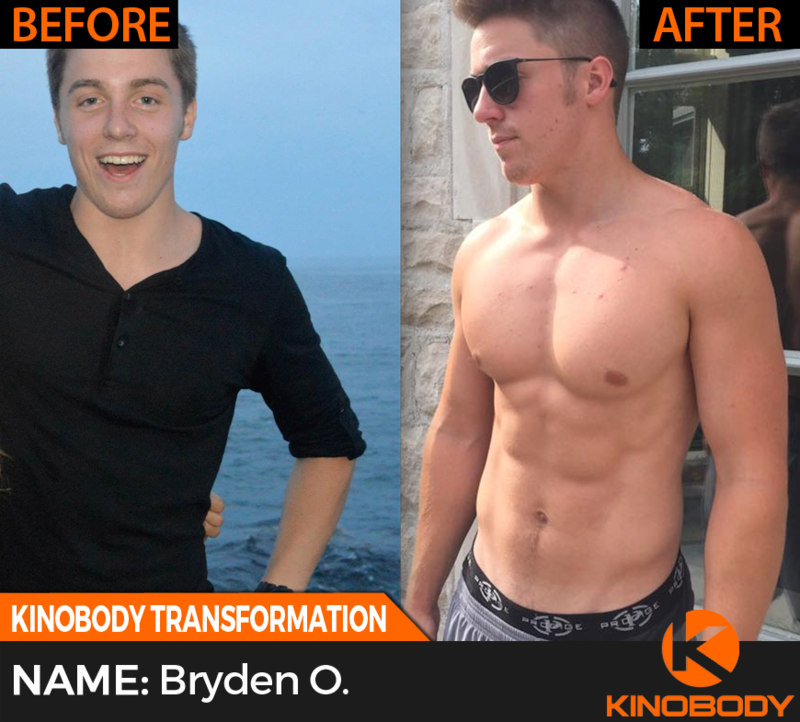 If you are getting stronger in the gym, maintaining a low body fat or gradually dropping any excess fat then you are bringing your body closer to the Ideal Kinobody Physiques. Continue this process and you will eventually reach the Warrior or Greek God build. You will need to attain a lower body fat for the warrior physique. For the Greek God physique you will need to build up more strength and mass. Taking things into Superhero status requires a great nutrition protocol and some additional high volume lifting. Not sure where to begin on your Kinobody Journey? Click the button below to get started immediately by identifying your physique type and the best program to go with it!